Summertime safety is a matter of paramount importance to every parent. Nearly 3,000 people drown in the U.S. each year from boating accidents and swimming pool incidents. Many of the victims are young children who were either without life jackets or were unsupervised. According to the National Safety Council and the Foundation for Aquatic Injury Prevention, nearly 5000 children ages 14 and younger are hospitalized each year from near drowning-related incidents, with 15 percent dying and 20 percent suffering permanent brain damage or physical disability. A child can lose consciousness in a pool in as little as 20 seconds, and permanent brain damage can occur in as little as four minutes if the brain is without oxygen. 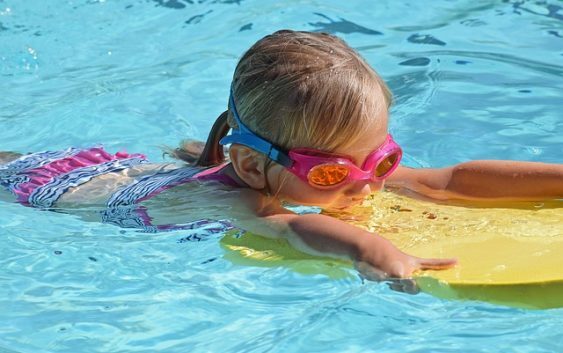 Accordingly, parents, boat and pool owners need to know how to keep the risk of drowning to a minimum and to follow certain summertime safety measures. If you have small children, many states require that you erect enclosures with minimum heights around your pool and have small openings that make it very difficult for anyone to climb over or to squeeze through. The enclosures must also have a gate that opens outward from the pool and is self closing and self latching. A motorized safety pool cover is typically required with a key switch and must conform to certain standards. Anyone wishing to become a pool owner should become familiar with and follow the safety and building requirements established for each state. Children should be taught to swim and should always have a responsible adult who is trained in CPR watching them. Life jackets are a must for everyone on a boat, regardless of their swimming ability. Pool gates need to be checked regularly to ensure that all gates and latches are working properly. A phone needs to be within easy reach as well. If your child has been in a near drowning incident and suffered injuries as a result, or has drowned in a pool, lake or boating incident, then an attorney experienced in drowning lawsuits should be consulted to consider your options. An experienced drowning accident attorney will fully investigate the facts of the incident, research the issues concerning the liability of the owner of the pool, lake or boat, and fully explain your legal rights under the circumstances of your case. If you live in the Washington, DC metro area – including Northern Virginia and the Maryland Suburbs you should visit the website of Chaikin, Sherman, Cammarata & Siegel, PC to learn about your legal rights in connection with a drowning accident. Chaikin, Sherman, Cammarata & Siegel, PC provides competent and professional legal representation that may give you peace of mind and the compensation you and your family deserve.